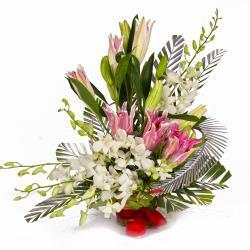 Product Consist : Basket of fifteen Stem of Orchids in White, Purple and Blue Color with Green fillers. 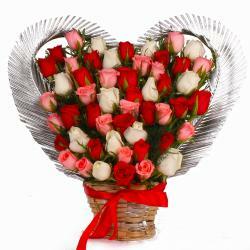 Take a look at this remarkable gift item which is available with us. The best gift item is a basket arrangement of Exotic Orchids. 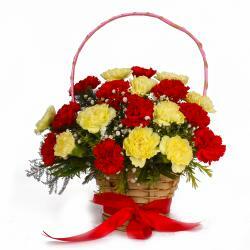 The basket arrangement consists of fifteen stem which are beautifully arranged on the basket. Orchids have pleasing color white and blue and purple which is sure to win the heart of the receiver. 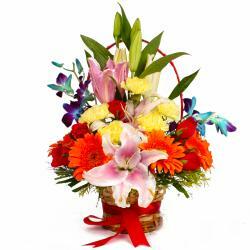 Gift this attractive flower basket to your special someone on Birthday, Anniversary, Baisakhi, Dhanteras, Womens Day, Missing You, Ganesh Chaturthi and elate him / her. 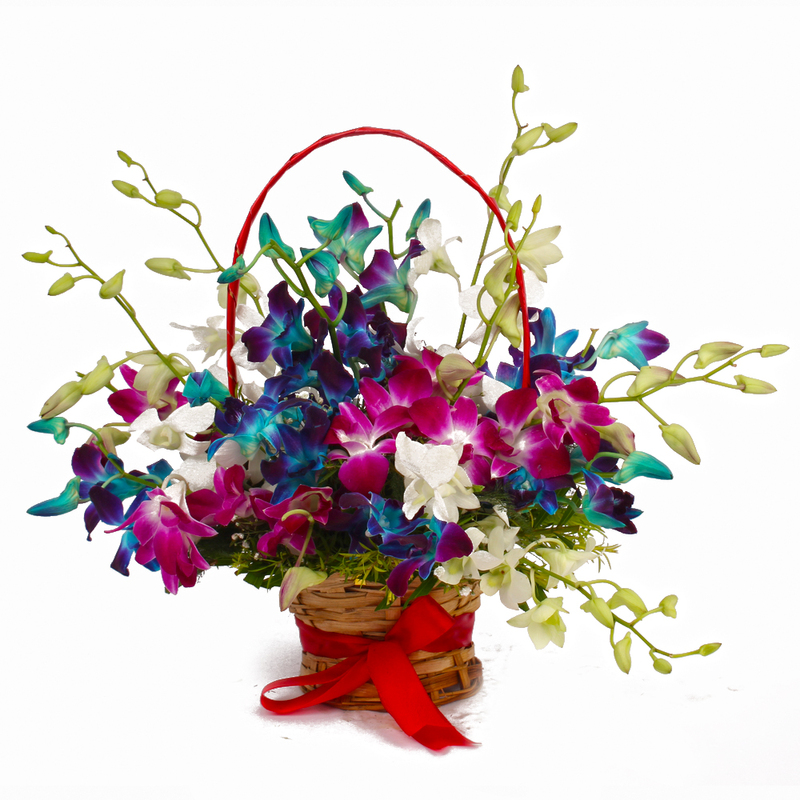 Product contains : Basket of 15 Stem of Orchids in White, Purple and Blue Color with Green fillers.